Geek's Guide to Britain The Battle of Britain: it was won by the RAF and pilots in Hurricanes and Spitfires assisted by a new-fangled invention called radar that gave the enemy's position away. 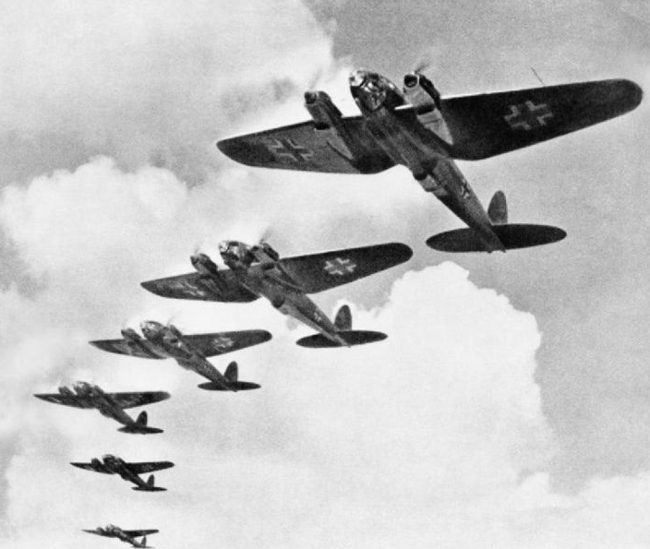 It was the first campaign of the World War II fought entirely in the air and was waged by Germany's Air Force, the Luftwaffe, against the UK's Royal Air Force (RAF) during the summer and autumn of 1940. But the bit about the radar is not the whole story. The RAF command actually already knew the Luftwaffe's plans before their pilots took off from France during those long days of summer and autumn. That’s because the encrypted communications used by the Luftwaffe – thousands of messages about flight operations and targets – had been hacked by code-breakers of Bletchley Park, just outside Milton Keynes. I learn this nugget about the Battle of Britain on a trip to Bletchley Park, armed with the Park’s new self-guided tour - a ruggedised iPod on lanyard that comes free with the admission ticket. Drifting between the huts of Bletchley, where the code-breakers worked, I'm getting sucked in and becoming oblivious to my ever-slowing footsteps. The iPod guide continues: working on other enemy communications, Bletchley Park's code-smashers decrypted reports that Hitler's prized battleship the Bismarck had asked for navigational charts... so that Britain could send out a pair of Supermarine Spitfires to sink it. The code-breakers also played a crucial role in the June 1944 D-Day landings in Normandy. Bletchley's operators were among the first to learn of the German surrender and of two massive nuclear blasts in the Japanese cities of Hiroshima and Nagasaki that finally brought WWII to an official end. All this and more was only made possible by the fact Bletchley was a massive operation: between 9,000 and 12,000 dedicated staff (numbers vary) working intensely in shifts around the clock cracking hundreds of thousands encrypted Axis military signals. Two-thirds of staff were women, three of the staff were chess champions – recruited for their unique problem-solving abilities – and one Bletchley Parker was Alan Turing, the father of modern computer science. Slaving in the huts I now pass, their work was hot in summer, cold in winter, grindingly repetitive all year 'round, and coders burned out. Bletchley also saw the first computers ever used to hack crypto, called the Tunny and Colossus. The Colossus machines read 5,000 characters a second; with 10 Colossus operated by 500 staff they broke 63 million characters of "high-grade" German communications. This story has been hidden from history. That's thanks to WWII being a narrative being shaped by gripping tales of the clash of men, the ripping of bullets and the sinking of steel. It's due, too, to the fact Bletchley was smothered into silence by the Official Secrets Act during and after the war. This place was so secret that pieces of paper stuffed into the cracks in huts' walls by those working inside, to keep out the cold winter winds, had to be removed after 1945 so that not one trace of Bletchley's wartime activities might be discovered. This story is now packaged in the self-guided iPod tour that comes with the admission ticket. Seven hundred iPods are in stock, paid for by the Bletchley Park Trust while there were plans, when I visited, to make the guide available for download from iTunes. This hadn't yet happened. The guide and iPods come as £4.6m of Lottery Fund cash awarded to Bletchley Park in 2011 is being deployed in a major bout of renovation. That money is being spent renovating Bletchley's neglected code-breaking huts with a purpose-built visitors' centre due by next spring, too. There are two streams to the tour – one for adults and one for kids – which are presented differently. Adults get the Jeremy-Vine like Jonathan Foyle and kids a redhead Women's Royal Navy Service (WREN) officer named "Dorothy". Foyle bestrides Bletchley while Dorothy operates behind a desk armed with blackboard, in-tray and glint in her eye. She is filmed in a scratchy, war-era cine-camera style. Foyle packs in the facts and breaks out the veterans along with pertinent B&W clips from the war. Dorothy keeps the history bite sized, colourful and interactive. You can tap through bios on code-breakers, get explanations of things like encryption and how the German cypher machines worked, and there are also quizzes and code-breaking challenges on schoolboy staples like Morse code. The first challenge, though, is which tour to take: adults or kids? I mix and match, in case I miss something. 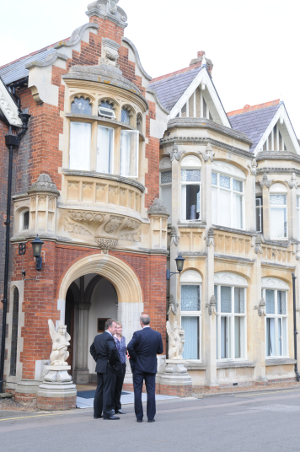 I begin at Bletchley Park's manor, where British wartime code-breaking began. The Victorian pile and its grounds were bought by the government in May 1938 to serve as a base for the Government Code and Cypher School (GC&CS) - that became GCHQ - in the event of a future war. When that war came in September 1939, the operation was small – with just 200 staff and catering courtesy of chiefs from London’s Savoy Hotel. We're introduced to the first of the Germans' fiendish encryption devices: Enigma actually dated from WWI and was used banks to to encrypt messages to help prevent fraud before it was adopted by the German military. Enigma is an electro-mechanical device in a wooden case with a keyboard and set of three to five rotors. It was the rotors that disguised a character’s meaning using a list of settings approved in a codebook. Enigma could muster a possible 159 million, million, million settings.